Congressional Democrats on Wednesday revived the first of an expected slate of proposals to expand coverage through a public option, starting with the most modest: Medicare buy-in at 50. Rep. Brian Higgins (D-N.Y.) and Sen. Debbie Stabenow (D-Mich.) were first out the door this Congress with their bill, framed by Higgins as an overdue next step for the Affordable Care Act. 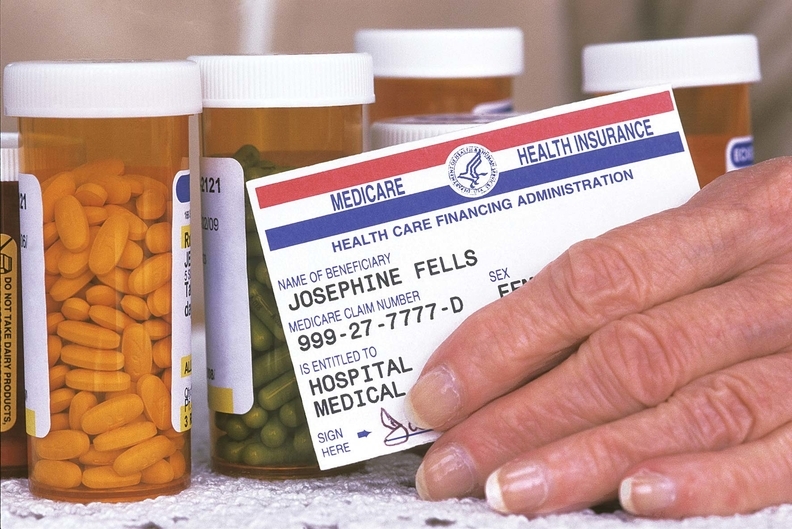 The "Medicare at 50" bill would add the option of Medicare Part A and B, the Part D prescription drug benefit plan, or Medicare Advantage to the exchanges where people could buy them at cost. Higgins estimated these options would price in at 40% less than an Obamacare gold-tier plan even before accounting for subsidies. The bill's revival comes as Democratic presidential hopefuls from Sen. Elizabeth Warren (D-Mass.) to Sen. Cory Booker (D-N.J.) struggle to balance the progressive push for a national single payer model like Medicare for All with a more modest step that keeps the employer-based insurance system in place. House Speaker Nancy Pelosi (D-Calif.) has promised hearings on Medicare for All and the variety of public buy-ins. Higgins said while he doesn't have specific guarantees of a House floor vote or particular committee hearings, Pelosi is making a "good-faith effort to get something done on Medicare at 50." Other public option proposals that are expected imminently include a more universal Medicare buy-in called Medicare X, introduced by Democratic Sens. Tim Kaine of Virginia and Michael Bennet of Colorado. Sen. Brian Schatz (D-Hawaii) and Rep. Ben Ray Luján (D-N.M.) are focusing on states with their bill for a Medicaid buy-in. New Mexico, Washington state and Nevada are vetting this policy in their legislatures this year. Proponents of Medicare at 50 frame it as the gentlest path to broader coverage, but industry groups are already closing ranks in opposition. The industry-backed group Partnership for America's Health Care Future— tasked with battling the single-payer push in public opinion and in Washington—instantly lumped Medicare at 50 with single payer or Medicare for All. The group represents a broad swath of industry, including the Federation of America's Hospitals, American Medical Association, insurance trade group America's Health Insurance Plans and Blue Cross and Blue Shield Association. "We can all agree that every American deserves access to affordable health coverage and high-quality care, but this proposal—whether you call it Medicare for All, Medicare buy-in, single-payer or a public option—moves us toward a one-size-fits-all health care system that is wrong for America," said Lauren Crawford Shaver, executive director for the group and a partner with the Washington firm Forbes Tate Partners. Chip Kahn, president of Federation of American Hospitals, also blasted the legislation, citing low Medicare margins and urging expansion of private insurance. "There is no question that Medicare works for seniors and others who depend on it," Kahn said. "But expanding the program with hospitals facing the lowest Medicare margins in history will make it more difficult to provide the critical care that all Americans expect and deserve." He added that Congress should work to "sustain and expand affordable private coverage." It's unclear how much industry opposition will influence the public option debate among congressional Democrats over the next two years, many of whom are signing on to one or more of the slate of proposals even if they don't support Medicare for All. Rep. Josh Gottheimer (D-N.J.), co-chair of the moderate bipartisan Problem Solvers Caucus, said the group hasn't addressed the public option proposals yet. The caucus has focused on proposals welcomed by industry to shore up ACA funding that moderate Republicans also agree with. Higgins shrugged off the pushback as similar to what Congress felt during the ACA debate. "Private insurance opposes it not because they think it's not going to work but because they know it will," he said. He also shrugged off the idea that the variety of proposals could hurt the chances of any of them, characterizing all the options as complementary and potentially happening in tandem. However, he believes Congress needs to do something more on the ACA, and as soon as possible. "It hasn't been improved in 10 years," he said. "We have to take it further and I think this is a major step in that direction. And do we have to take it further beyond Medicare at 50? Absolutely."